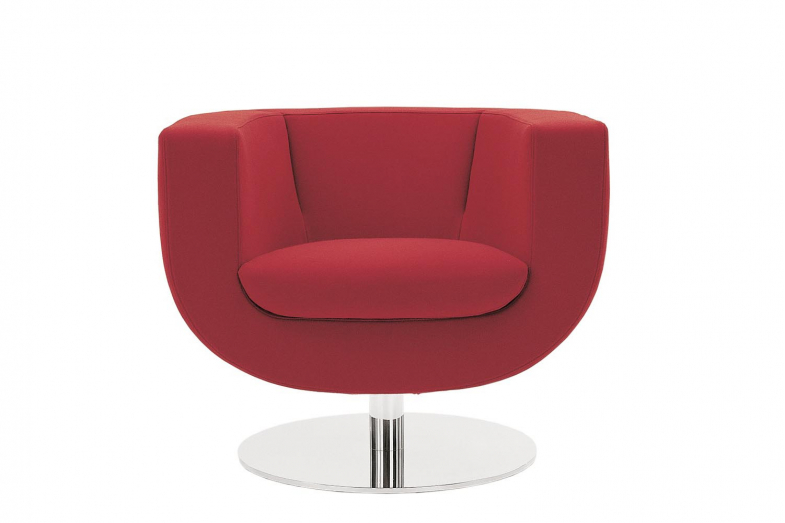 Designed on a carefully proportioned combination of widths and alternating straight and curved lines, Tulip is a 360° swivel chair, marked by great flexibility in use. 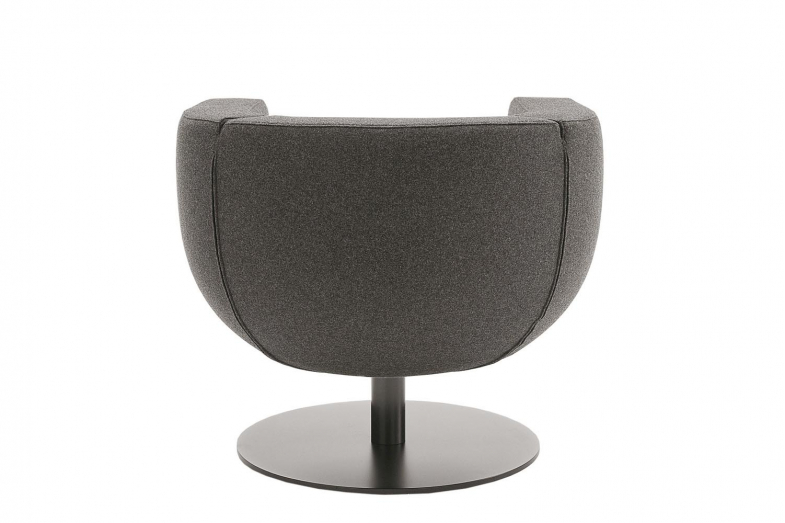 The support disc, made in bright brushed aluminium, reflects a portion of the body, thus emphasising its round shape. 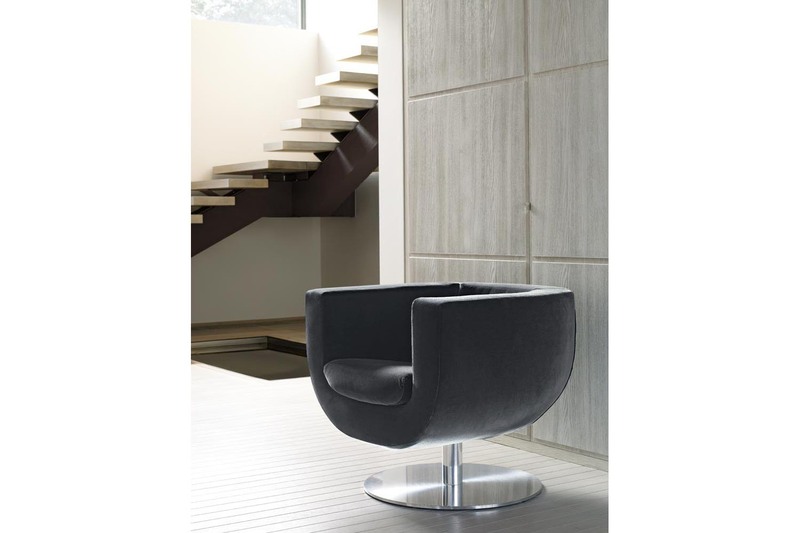 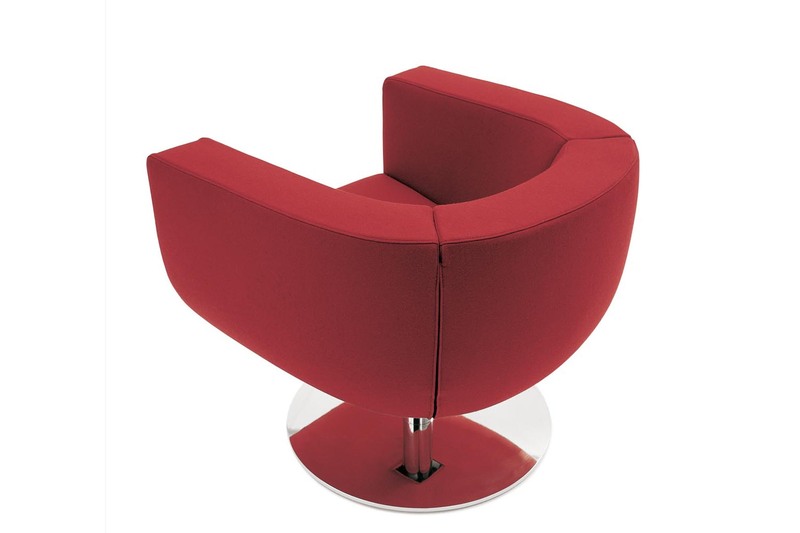 Two slits in the backrest and a soft cushion for the seating make it comfortable and welcoming.